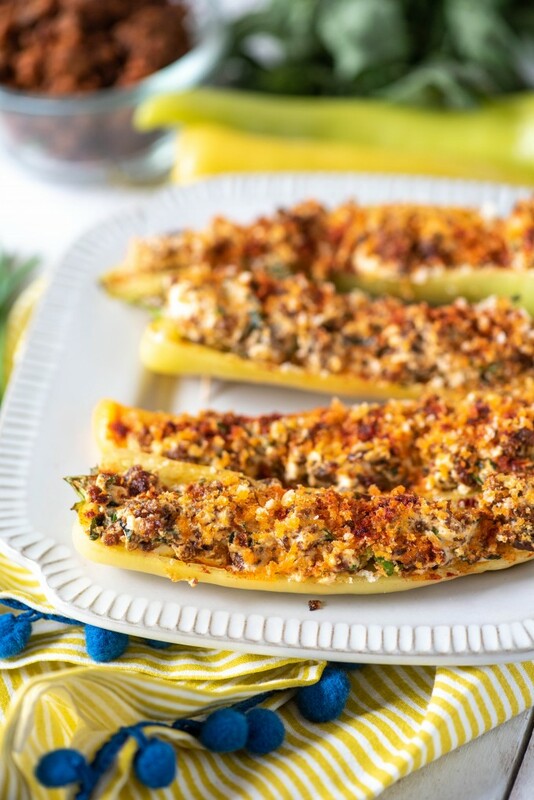 These Stuffed Banana Peppers are packed full with Chorizo, Goat Cheese, Basil & Chives! They’re perfect for any get together, and ready to go in under 20 minutes!! So as I said on Friday, J decided that it would be so SUPER AMAZING to grab the battery charger for my camera and chuck it across the room. When I went to pick it up, it had turned into a rattle. Boy, I don’t think its supposed to sound like that. I was not pleased in the least, especially since my battery had chosen just that particular moment to die. My husband decided to try and soothe my soul and salvage the situation by trying to fix it. He opened it up, figured out where the single loose piece went, and snapped it in. I’m not sure what happened after that; he evidently forgot that his training is in medicine, not Silicon Valley electronics. Somehow we (ahem, *he*) ended up with other loose parts, which ended up Krazy-Glued onto the circuit board, despite my repeated protests that I was nearly 100% positive Krazy Glue was not an electrical conductor, and that we did not have the appropriate tools to solder electronics. Who am I kidding here? I’m no hardass. We came home with a tent. Anyway, we were invited over to our neighbors’ that evening. I had been thinking and creating this dish in my head for a week or so, and this seemed like a great time to try it out. It wasn’t a disappointment; everyone loved them! Here’s the thing with banana peppers- they’re kind of like the famous line from Forrest Gump. You know the one, I’m sure. “Life is like a box of chocolates, you never know what you’re going to get.” Banana peppers are sort of like that. They are one of two temperatures- nice and mild, or blazing hot like the fire of a thousand suns. Most grocery stores don’t separate them, so each one of these is like its own special game of Russian roulette, haha! Skillet- for sautéing the chorizo. You can grab this Skillet to use for this recipe and future ones! Wooden spoon- This Wooden Corner Spoon & Scraper is great for cooking and is safe for non-stick cookware! Mixing bowl- These bowls are perfect for mixing up any recipe and even come in three different sizes. Get your 3-Piece Glass Mixing Bowl Set here. 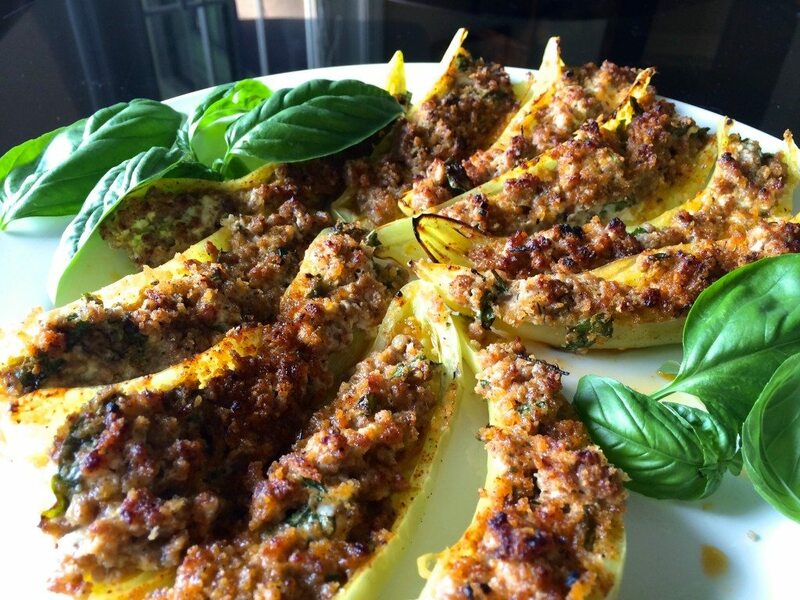 These Stuffed Banana Peppers are stuffed with Chorizo, Goat Cheese, Basil & Chives! They're perfect for any get together!! Preheat broiler on high. 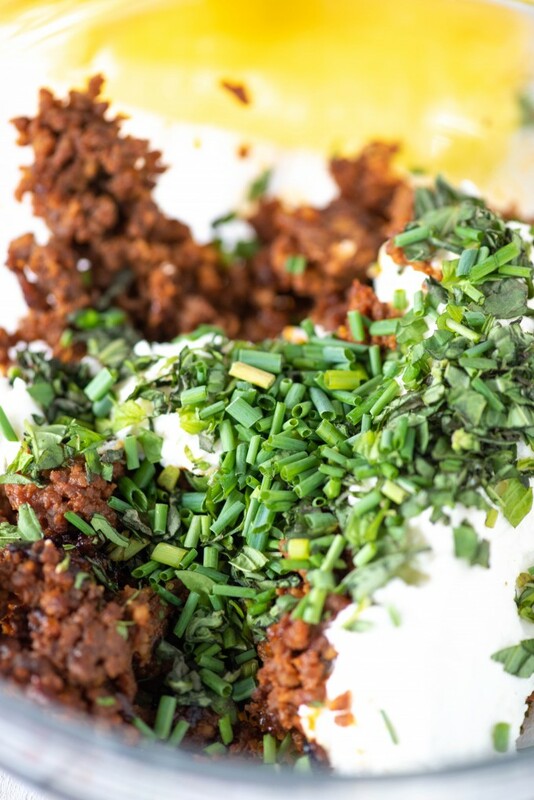 In a large skillet set over medium heat, remove chorizo from casings and brown, breaking up into small pieces with wooden spoon or other chopping implement. Remove to a mixing bowl and allow to cool to room temperature. 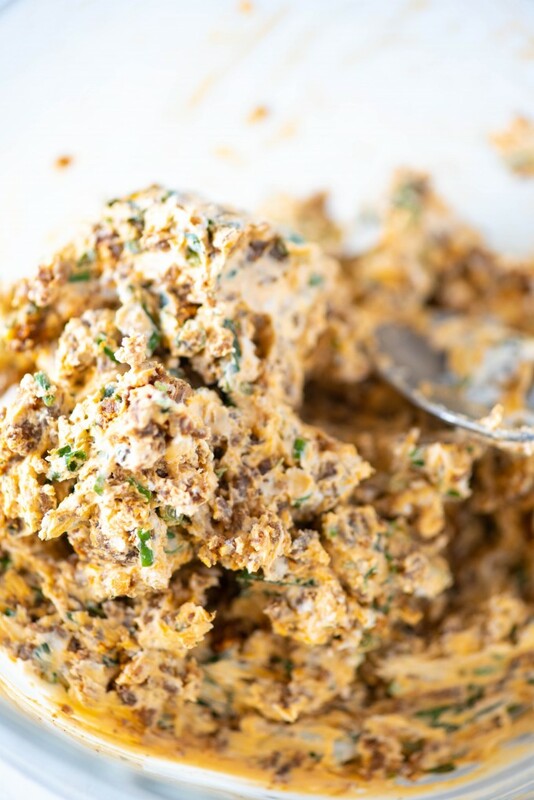 Mix in the goat cheese, then the herbs. Using spoon or hands, stuff the peppers. Sprinkle lightly with panko and paprika. Spray with cooking spray. Place under broiler until top is browned and crisped, 3-4 minutes. Allow to cool slightly, then serve. That is such a funny story, and lucky you, you got a tent out of the deal! lol. 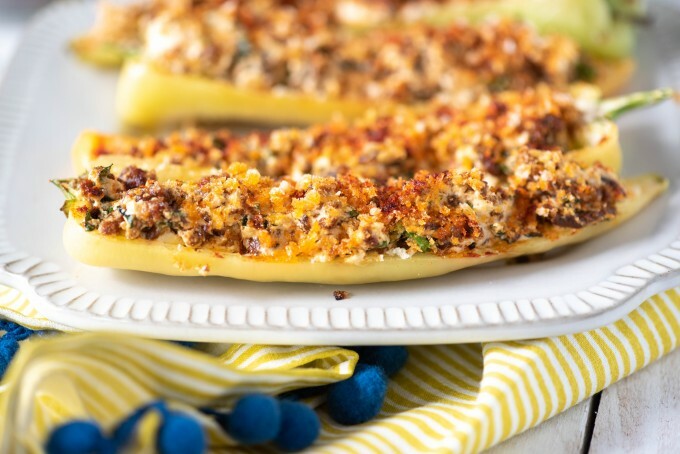 Love the recipe, and I didn’t know banana peppers were sometimes hot. Good to know. 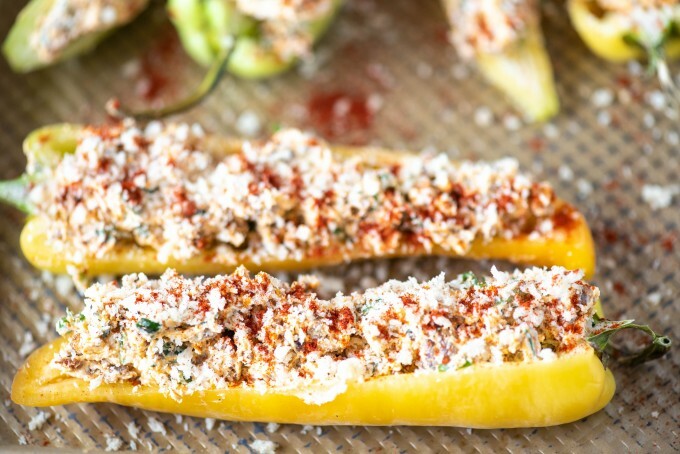 I haven’t seen these peppers around here yet…I will have to keep looking, this recipe looks amazing. These look so delicious! I love the flavors here! Talk about great party food! This looks delicious! 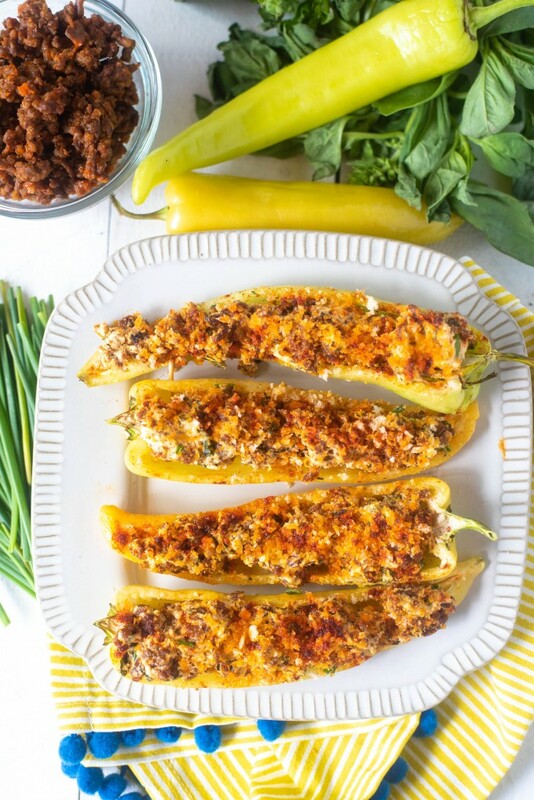 Mmm, chorizo is such a great flavor addition to anything and perfect for these peppers. I’ll bet my husband will LOVE these. I can’t wait to try them out and see what he thinks. They look SO delicious. Perfect for our next party or event too! Oh my, does that filling sound incredible or what!?! Love the sound of chorizo and goat cheese! Looking forward to trying this.